Stan Lee has always been there. For anyone who is a Marvel fan, no matter how long you have been a Marvel fan, Stan Lee has always been there. No one lives forever but I think many of us thought that Stan Lee just might be immortal. On Monday November 12, 2018 Stan Lee crossed The Rainbow Bridge to Valhalla at the age of 95. While it shouldn’t have been that surprising given his age, the world is in shock at the thought that for the first time in our lives – he isn’t there. And he never will be again. 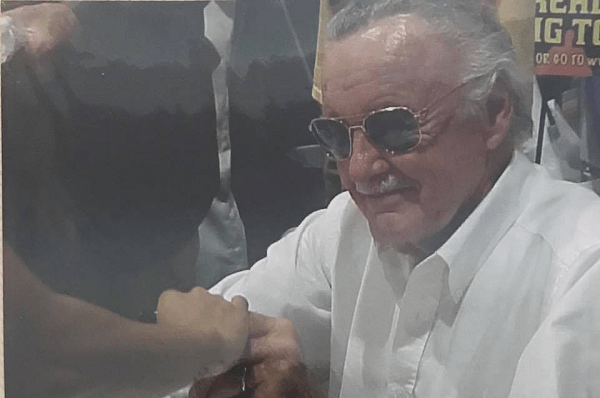 Kevin Feige said in his remembrance of Lee that “Stan leaves an extraordinary legacy that will outlive us all.” It is in that legacy that Stan Lee WILL live forever. What he left behind has touched countless lives and will continue to touch many more for a very long time, if not for all time. 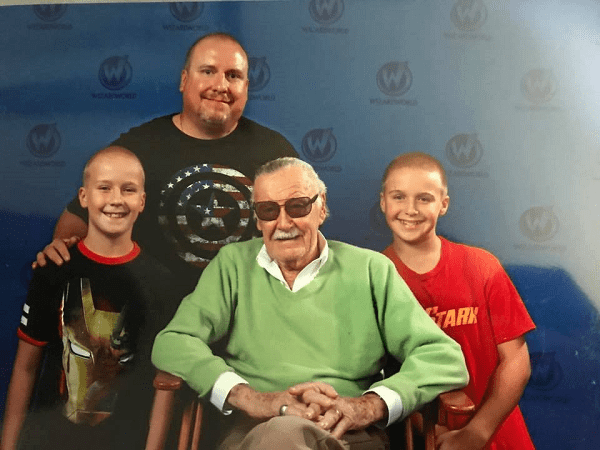 In an effort to capture a very minute fraction of what Stan Lee meant to people, what he did for people, how he changed so many people’s lives, we talked to the fans. In the words of Steve Rogers, “I could do this all day”. But for the purposes of this article we can sadly only include so many fan accounts. The most beautiful part of the response that we received from the fans was how Stan Lee touched people of ALL walks of life. Men. Women. Young. Old. Straight. Gay. White. Black. And everything in between. Stan Lee taught us that it was ok to be ourselves, whatever that meant. And then he encouraged us all to be better. While there are many stories included here, there are so many more stories out there like these, just waiting to be told. 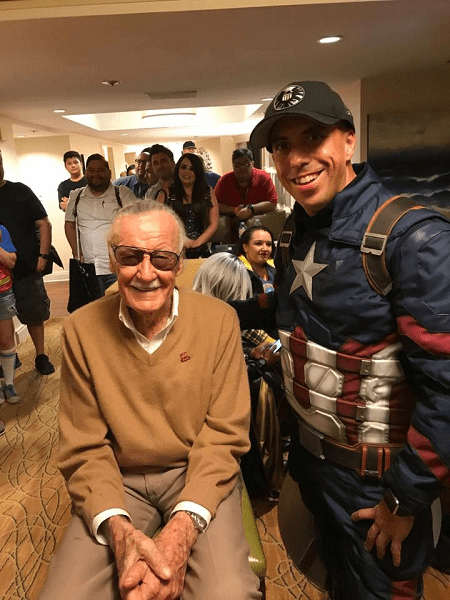 In San Diego last night, the Science Fiction Coalition (a science fiction fan club that is dedicated to giving back to their community and cosplaying at local charity events) held an impromptu farewell to Stan Lee. 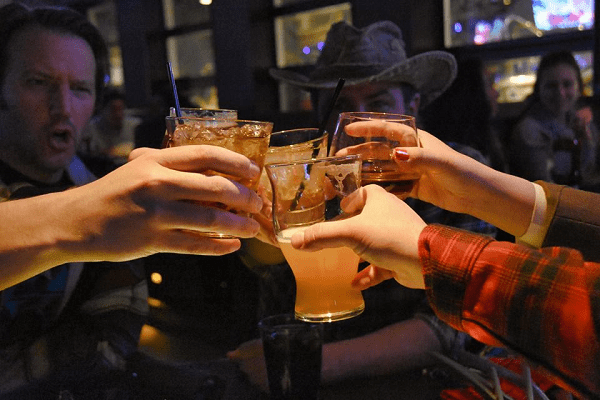 A number of club members met at The Yard House dressed in Marvel themed costumes and dedicated a toast to Lee’s memory. The first comic book I read was the X-Men. A group of outcasts hated and feared by society because they were different. They fought to just be included and live in piece with other humans. This was the same time I figured out in my life that I was gay. I related to the comic so much because I felt oppressed for being different and not fitting in. I have realized as an adult is you do have to fight to fit into society. Also, people do hate and fear what they do not understand. Thank you Stan for being inspirational. I have and always will be an X-Man. I can NEVER thank Stan Lee enough for giving us Spider-Man. Anna showed signs of autism at a very young age. She barely spoke. Then 1 day we were walking through barnes and noble by their clearance bins and she saw this baby Spider-Man. She started hugging him and TALKING to him. She wanted to know all about him. So I took her to the comic book store. She became obsessed with Spider-Man. She started talking more and more. It opened a whole new world of super heroes and growing for her. She had to have everything Spider-Man. 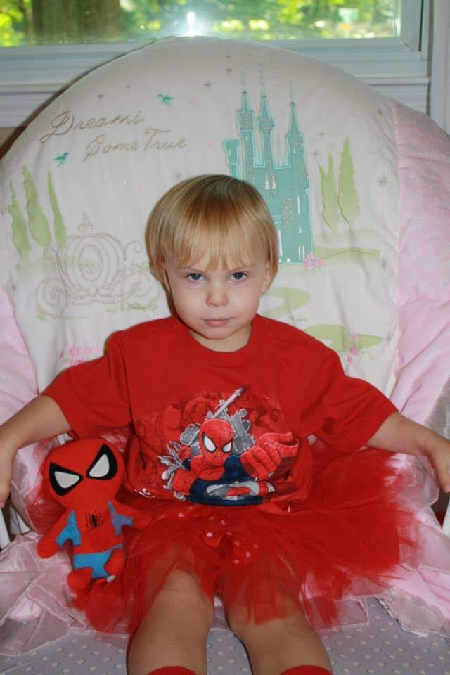 She would run around the house in her Spider-Man costume playing super hero, TALKING, LAUGHING, and responding. It was a miracle. I know that Stan Lee and his wonderful creations have been there for us “Geeks” before being one was considered Cool by the dude bro society. But this moment in my life stands out so huge and I wish that I could have told him how grateful I am for Spider-Man. It’s hard to put into words how much of an impact Stan Lee has made in my life. Growing up, I was obsessed with X-Men and Spider-Man; never missing an opportunity to read the comics (which I had to borrow from friends) or tune in Saturday mornings to watch the cartoons. Immersing myself in the stories helped me get through some times of difficulty in my childhood. So when I received an email giving me the opportunity to cover an announcement he would give at his convention, I was beyond ecstatic. Just being in his presence meant so much. 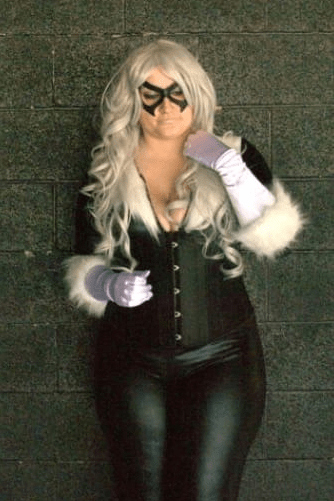 I walked around the convention in my Black Cat cosplay, taking in the sights when I saw a scooter coming out of one of the back areas. There he was, getting ready to meet adoring fans who had been patiently waiting for an opportunity to get his signature and a photo. As I walked by, we made eye contact and smiled at each other. He gave me a thumbs up and I said “thank you”. I wasn’t just thanking him for the thumbs up. I was thanking him for creating such amazing universes and characters. I was thanking him for his kindness and love for his fans. I was thanking him for the impacts, be it big or small he had made in my life and others. My only regret that day was not asking for a photograph or waiting in line to get his autograph. I kept thinking I could do it “next time”, but in the end, I missed that opportunity. I am lucky enough to have been able to have had this moment and I will treasure it always. I spent five years after my divorce struggling to find something to make me happy. I felt like I didn’t even know who I was any longer. Then I found Marvel movies. I spent a long time listening to other people about what I should and should not be interested in. And then, I found the Marvel films. I liked them, they were fun, lots of eye candy. And then I saw Captain America: Winter Soldier, and that was it. 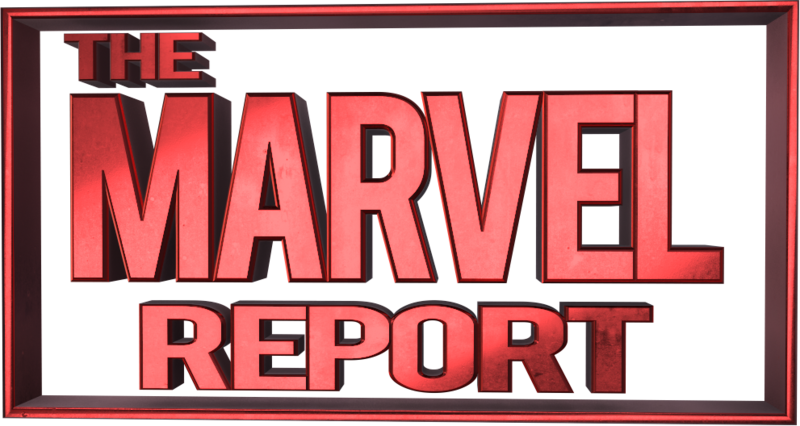 I was fully invested into what I still consider the best Marvel movies if not one of the best spy films. And it made me realize those telling me that the things i was interested in were stupid or childish were wrong. 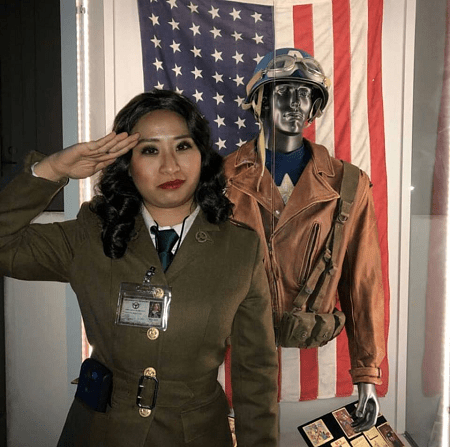 I began to cosplay Agent Carter (and still do) and love her character in particular. 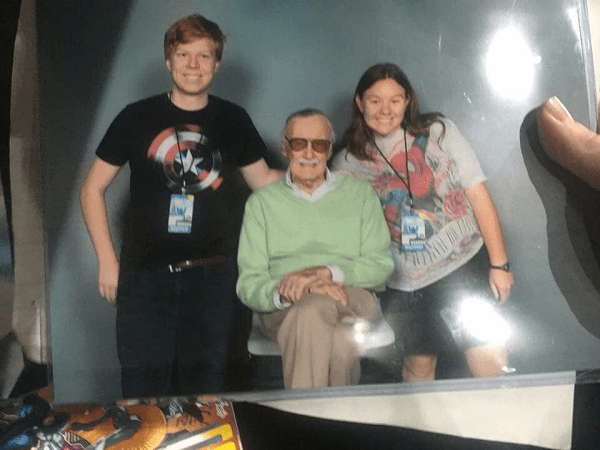 I’ve had the pleasure of hearing Stan Lee speak, but missed out on meeting him. But the world he gave us and the experiences I’ve had and most importantly the friends (more like family) that I have found because of his creations matter so much to me and have made such a difference in who I am. I’m happy again. I found a place that I belong and for that i could never thank him enough. I literally taught myself to read on Marvel comics. And I grew up on the best comics; Stan Lee and Steve Ditko Spider-Man, Stan Lee and Jack Kirby Avengers, Hulk and Captain America. Although the writers and artists changed a lot, Stan Lee was the one constant in Marvel Comics during my formative years. I will always be grateful for Stan Lee. As a kid I felt that I didn’t fit in too well. I was different because of how I looked. One girl even thought that I had a diseases because of all of my freckles. 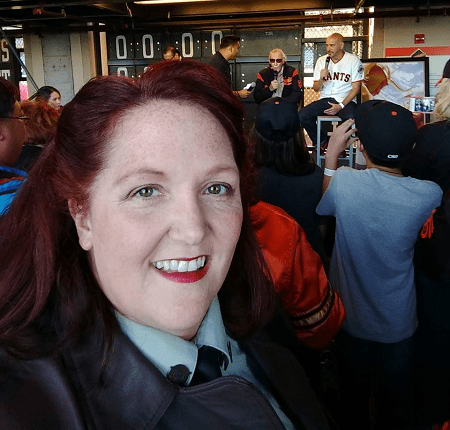 I tried to excel in other things like sports to feel “normal”. And I was very good at a lot of them. But as soon as I got off the field, diving board, court or horse I was an outcast again. But then a Spider-Man cartoon came on TV, and I related to Peter Parker. He too was an outcast and didn’t fit in. He was me! That show changed me. It taught me that the outcasts can be normal too. After watching that show for the first time, I became a Marvel fan for life. I read everything that I could get my hands on. 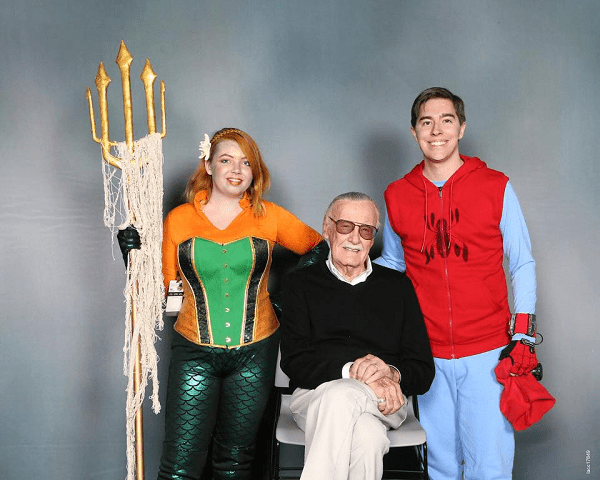 Stan Lee helped me feel normal. 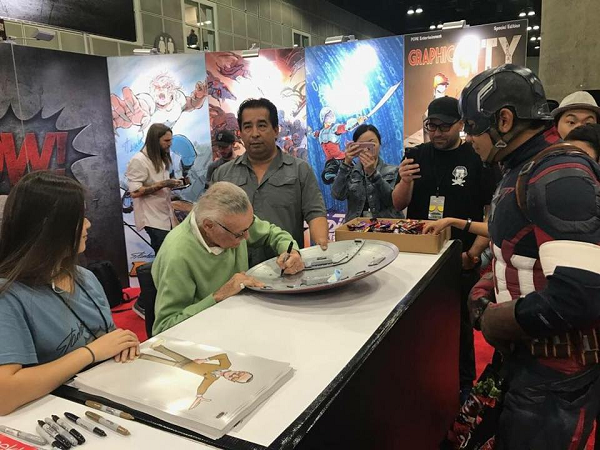 Thank you Stan, you will be greatly missed. 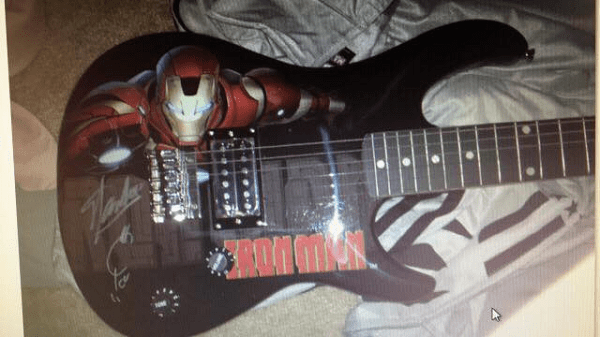 I won this guitar at SDCC and was later able to get it signed by Stan at Portland Comic Con. I put the guitar on the table for him to sign and he just laughed “Well, this is new. I haven’t done one of these before.” He was so nice and a lot taller than I imagined. I will never forget that trip. I’m glad I got to meet him. I don’t get starstruck very often but I was shaking with nerves and was immediately and enormously disappointed in myself, feeling like I’d wasted my chance to ask him something much more meaningful, but I don’t regret it because his response is how I know that he passed away yesterday knowing that he’d made a difference in the lives of millions of people. That he’d brought humanity to those with superpowers and joy those without. He knew his impact. How many people can truly say that after living a long and adventure-filled life? It doesn’t make his passing any less sad, but it does bring comfort to all of us who loved and looked up to him. My only hope is that he was safe and at peace when he passed. So I thank and celebrate Stan, and all of the creators who gave us such iconic characters throughout decades of creativity and collaboration, we all owe so much of who we are today to them and what they gave us. I sadly never met him but he has had a lasting impact on my life. He created strong female characters for young girl to aspire to. 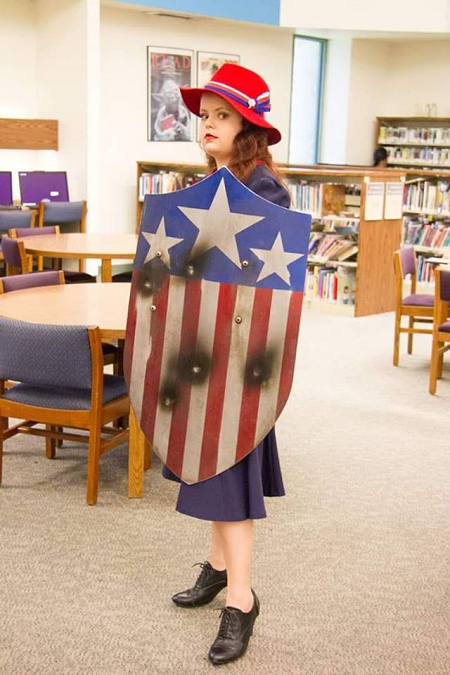 Agent Carter has become a pivotal part in my life. He created worlds where ordinary people could become heroes. He inspired a whole generation to aspire to help others. He sparked creativity and imagination in the minds of children. He will be dearly missed. I got introduced to Marvel shortly after immigrating from Russia to San Diego in ’89. First it was the Saturday morning cartoons, then the toys, then the comics. Spider-Man and X-men (along with Star Wars) were how I learned to draw, along with how-to-draw books that I would get from the library. Stan Lee’s “How to Draw Comics the Marvel Way” was a huge influence in my journey. I went into the arts taking all the classes I could in High School. I had an internship with a local children’s publisher who happened to have a series of Marvel books aimed for kids. 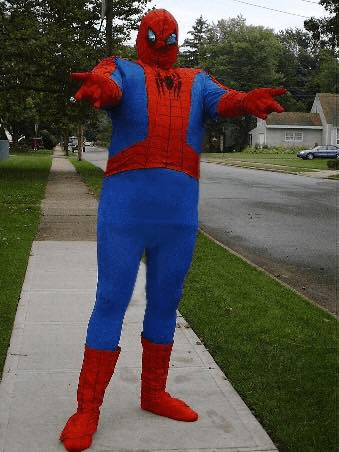 My first “real world” job was as a “consultant” to the art director/digital artist, my uncle Eugene, on “Spider-Man: The Ultimate Picture Book.” One of their photo shoots was a Stan Lee “Cameo” appearance that we shot at his home. He was the nicest man in person. 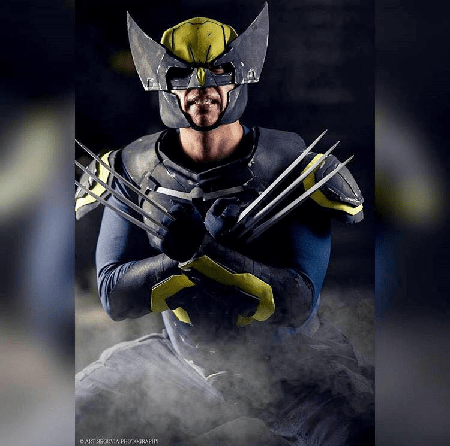 My second assignment was the “X-Men: Ultimate Picture Book.” now as a graphic artist/raw photography layout artist. About a year or so after, in 2005, I was a full-time graphic artist employee at the publisher, working on an unrelated series of children’s books and marketing materials. That year we did a Family Literacy Day at the San Diego Ray and Joan Croc Center, and flew Mr. Lee out as our guest of honor. It was a very small and intimate event; Stan told personal stories, his influences and his struggles; and autographed copies of our books for pretty much anyone in attendance. Seen him many more times at cons and panels after that. Rest in Peace, Uncle Stan. 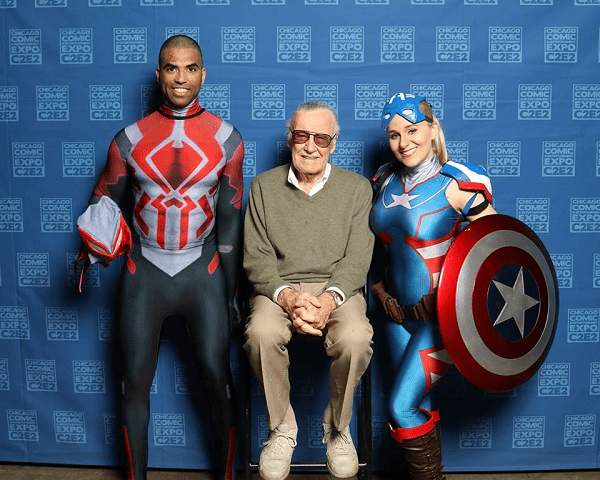 Stan Lee was an inspiration growing up because he started out poor & worked his way up. He worked hard, did the things he may not have liked but did them to get where he wanted to be. To be in a position where he could be creative & happy. Growing up poor in inner city Chicago, no car, very little money, this resonated with me. It made me a True Believer in what potential I could make of myself. It gave me hope for the future. The characters he contributed to created with his team provided a much needed escape & creative outlet with my drawing and Airbrushing growing up. 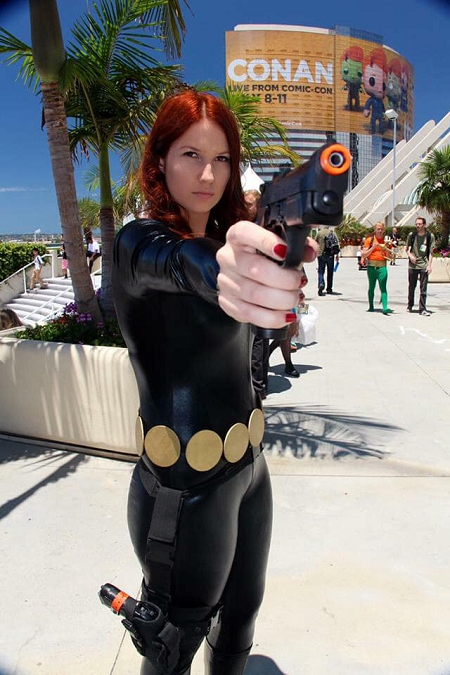 To this day, this creative outlet is something that has shown through in the art of my cosplays. 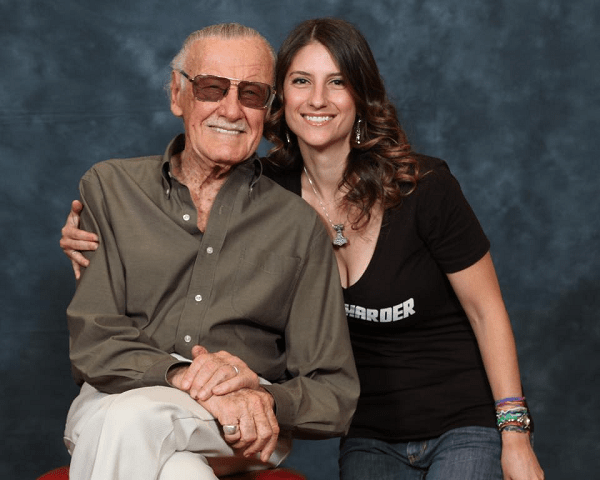 I never had the chance to meet Stan, but growing up as a kid, I was an avid comic reader, primarily Spider-Man, The Avengers and the X-Men, all of which he had a large hand in! 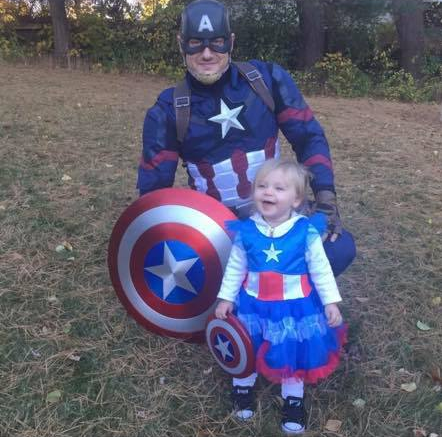 Captain America in particular has become a big part of who I am in. 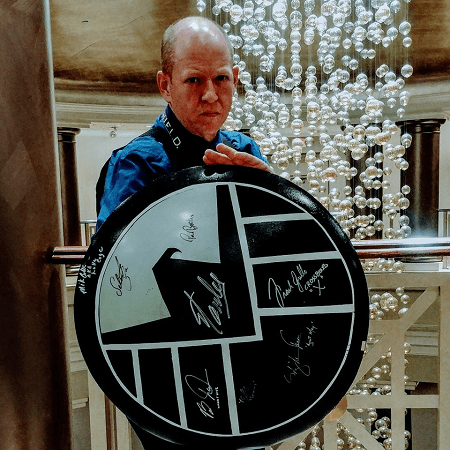 Thanks to him and the team at marvel, how he is written and it has made me a better person, having more compassion and trust in and for people. 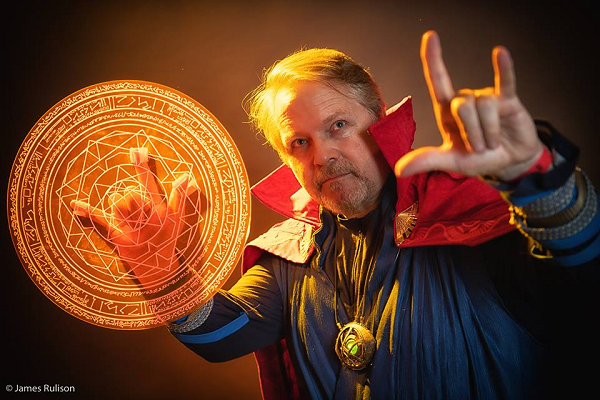 Seeing my daughters now as they enjoy the wonder of superheroes is an incredible thing and brings it full circle for me…the fact that this man created something that kids from 3 to adults my age at 32 can enjoy together is astounding! He was such an incredible human being with passion for PEOPLE. His stories weren’t grounded in the sense of reality being that these heroes or villains had superpowers. But rather grounded in reality in the way they were flawed characters and dealt with issues of loss, regret, struggles, racism, power etc. He was simply a visionary, easily the Walt Disney of our time! Thanks for the amazing memories Stan! Your legacy will forever live in thru these amazing characters you’ve created! Excelsior! Stan always made the impossible seem possible. No matter what the odds were in each of his stores an unlikely hero prevailed. This was usually achieved by determination or by investigating the villain to see what their true weakness was. Always made me feel that things can be accomplished no matter what the odds were or how bleak things looked. I haven’t read a great number of comic books. It’s the world of animation where I got most of my knowledge of, and affection for, superheroes. Spider-Man in particular was always reinventing itself, from the 60s version I’d see in reruns, to the 90s version I’d watch after school. 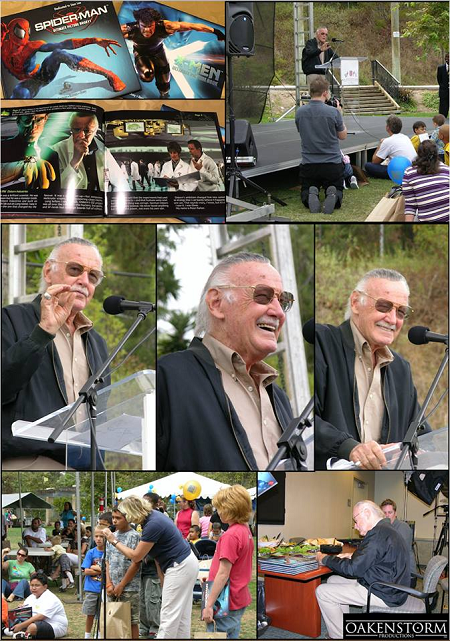 But when I was about 10 years old, “This is Stan Lee!” greeted me every Saturday morning, introducing the adventures of the Hulk, Spider-Man and his Amazing Friends, and more. This is what I nostalgically remember most fondly. I never got to meet Stan. And that is something that will forever break my heart. I was severely bullied and didn’t have friends as a kid, so my dad introduced me to Marvel comics when I was learning to read. He helped me escape my pain and loneliness. It’s hard to put into words what the man meant to me, so I’ll keep it simple. I literally would not be who I am today without Stan Lee and the characters he created. I never had the chance to meet him personally. But through his work, his creations, I felt like I already had. What I began to read as a kid transformed me. It became inspiration. There are no words to describe the connection. None. Only action. Stan will live on through all of us who continue to be inspired. I was always sort of a comic book nerd growing up, but was not very open about it because I was afraid of being made fun of. Now having kids of my own and Marvel becoming so mainstream, Stan Lee’s characters have made it cool to be a nerd. Reading my old comics and sharing them with my kids is a gift I can never thank Stan Lee enough for. Excelsior! So heartbroken over the news of Stan Lee’s passing. He created so many characters, words and stories that mean more to me than I could possibly describe. 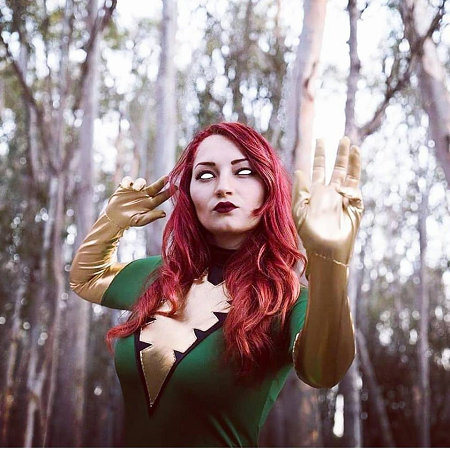 Including the first costume I ever made which sparked my love of cosplay – Phoenix. 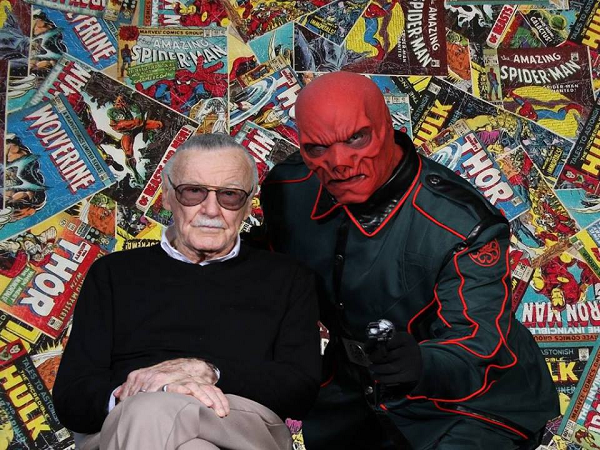 Rest in peace, Stan – you are a legend and a hero to me. I may not have been a comic book reader. But I did watch a lot of movies. And I knew who Stan Lee was. It’s hard to put to words what Stan Lee’s characters mean to me and millions around the world. The MCU movies have helped me get through dark moments in my life. They’ve not only entertained me. They’ve inspired me. They’ve made me want to be a better person, to embrace what is unique about myself, and to fight for what is right. They made me want to be a hero. Thank you Stan Lee. Excelsior. Stan had his flaws, but in some ways I appreciate those flaws more in Stan because he broke the mold in many ways and GAVE us flawed heroes, unlike the archetypal SUPER men and WONDER women of old. Stan was far from perfect, but the imperfections in many of his creations (or co-creations) made them perfect for the readers to identify with. Since I was a kid all I can remember is loving Spider-Man. He was my favorite superhero. Most kids loved Batman, Superman, Hulk or Captain America, but I stuck with Spidey. I remember watching the 2001 Raimi Spider-Man movie on DVD for the first time with my brother and being in awe of seeing my favorite hero come to life on the screen. I also remember playing the original PS1 Spider-Man game, narrated by none other than Stan Lee. It’s safe to say that Stan Lee and Marvel were (and still are) huge parts of my life growing up. 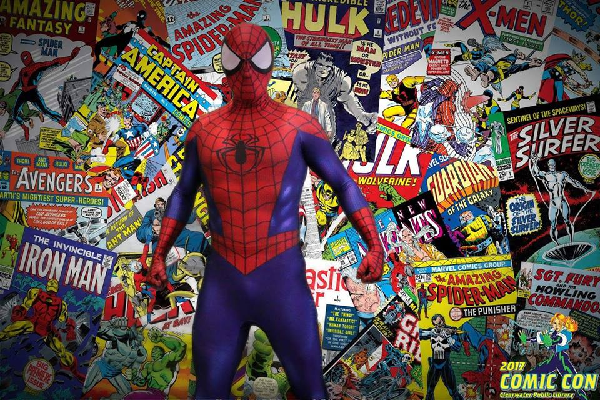 I grew to love the movies and comics, and I had a fascination for what Stan Lee did by creating such a fantastic universe. 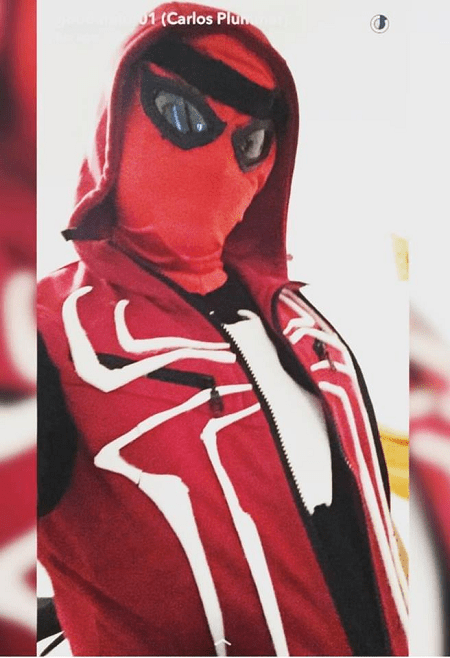 As I grew older, I began to understand and connect to the characters even more, but I still stuck by Spidey. As a kid growing up, feeling uncomfortable in his own skin, awkward and socially insecure, Peter Parker cemented himself as an idol and a hero in my small world. As the MCU became more popular, I began to start delving deeper into comic lore and learned about the unique, diverse, and incredible histories of every hero that I now love and look up to. I love many things, but Marvel is and always will be the thing that keeps me going. Losing Stan Lee is like losing a friend. What he created has had a big part in making me who I am today. A lot of us already know this, but Stan Lee is Marvel’s greatest hero. My learning disabilities made things difficult growing up. I hated the way my brain works and that I couldn’t just “be normal”. Stan Lee, Marvel, and later comics in general helped me embrace the differences and see that even the greatest of heroes struggle and nobody is perfect. By loving characters with flaws I slowly learned how to accept my own. Marvel and more importantly, Captain America taught me to stand up for what’s right. Not to let anyone or anything get in the way of basic human rights and decency. I was an outcast but Marvel comics let me know that’s ok. I have collected Comic Books for over 40 years. At some point I had up to 50,000. I became an Illustrator and Art teacher because of it. 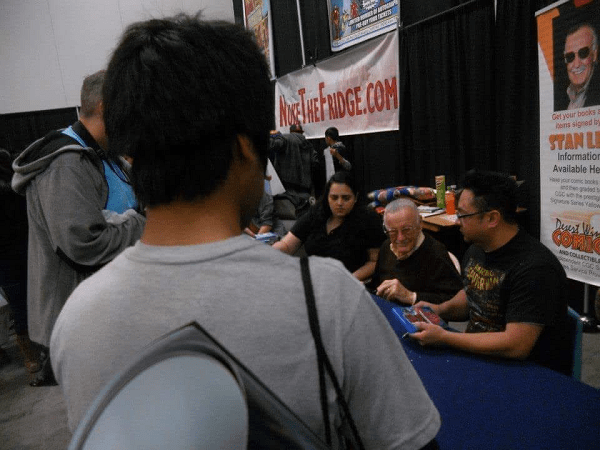 I met Stan once when I worked Line Security at NY Comic Con years ago.